The media, royalists and our royal blogger are getting anxious as we wait and wait and wait for William and Catherine’s baby to finally arrive. It’s now day 16 of the baby vigil if you have been ready for the royal arrival since 1 July. I giggled quietly when the world media began to camp outside the Lindo Wing in London on 1 July waiting for Catherine and Prince William’s baby’s birth, but for TV networks such as CNN, NBC and SkyNews every centimetre of space on the pavement opposite the entrance to the private facility at St Mary’s Hospital was valuable. I can’t stop looking at the photographs of the media camp showing how masking tape has been used to mark the borders of each TV network’s space. And everyone has ladders. I hope someone takes a photograph of the media pack on their ladders with their camera lenses aimed at the Cambridges when the big day finally arrives. Some of the photographers encamped on the pavement have shared on Twitter photographs of themselves when they were camped out for the births of William, Harry and even Princess Beatrice. There was a bit of a stir among our group of royal Twitter friends when there was for a minute or two’s uncertainty as to whether William would take advantage of the traditional photo opportunity. Fortunately Victoria Arbiter, a respected royal correspondent reporting for CNN among others and whose father, Dickie, was for years the Queen’s Press secretary, quickly calmed everyone. Yes, William will pose for photographs on the steps with Catherine and Baby C. But he will then turn and reenter the hospital because he apparently wants to drive his wife and baby home himself – with the baby in a baby seat and their bodyguards in their cars in front of and behind William’s car. He might even, like his father Charles did when William was born, say a few words to the waiting media. 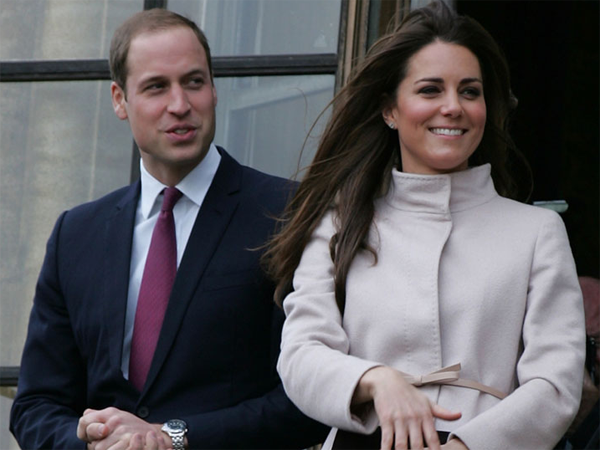 Where the Cambridges will go after the birth is still unclear. Whether home will be Kensington Palace (they’re still living in the compact Nottingham cottage because work on Unit 1A isn’t complete), Balmoral (the Queen invited them to take a holiday there), Anglesey (the couple’s home in Wales) or Bucklebury (where Catherine’s family lives), no one knows. My money is on Bucklebury, despite the opinion of Ken Wharfe, one of Princess Diana’s bodyguards, that the baby won’t have enough protection at the Middletons’ home. As he says, it was another world when Charles and Diana took William home from hospital 31 years ago. I think there’s no better place for the Cambridges than at the home of grandpa and grandma Middleton. I don’t know if Catherine will really stay with her parents for six weeks after the birth. Wiliam gets only two weeks’ parental leave and I can’t see him leaving his wife and baby with her parents when he goes back to work. Naturally Catherine and Baby C will return with him to Anglesey. But before the Cambridges can take their baby anywhere, I’m still counting the days. Even granny Camilla says everyone is hoping the baby makes its appearance by the end of this week. Really, only by the end of the week? No doubt about it; this baby is fashionably late. But then I think: hang on: Is His Royal Highness (name), the Prince of Cambridge, or Her Royal Highness (name), the Princess of Cambridge,really late? Can someone be late if we don’t know what day he or she is supposed to arrive? Or are we just so excited we can’t wait any more? Arlene Prinsloo is an ardent royalist and national content coordinator at Digital News: Media24 News. I'm a 27 year old woman looking to meet men between the ages of 27 and 45.